If a picture is worth a thousand words, what’s the value of a video (in words)? We shall soon see. I have been threatening to do some “vlogging” for some time. When I saw this banana on the sale produce rack at my supermarket, I knew I’d found my muse. Out, Out Brown Spot from Jonathan Bloom on Vimeo. Before shooting the video, I was really curious to find out if the outer blemishes would affect the inside. Then again, I’m a bit obsessed with that kind of produce blemish guessing. I think there’s a game show in there somewhere. More than game shows, though, what I’d really love to see is a round of homemade public service announcements urging people to reduce food waste. 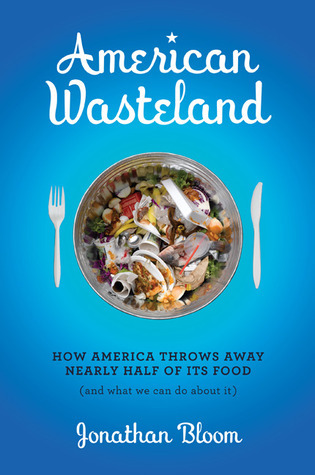 If the USDA isn’t going to take on waste, we should. I can just see it now: “Give a hoot, don’t waste fruit!” Right, Woodsy? This entry was posted in Personal, Worth a Thousand Words. Bookmark the permalink. Both comments and trackbacks are currently closed. Congrats on your first movie. It was great and just goes to support the fact that nature provides some pretty neat packaging! Sorry about the errant zooming! I am sure I will get better with practice. I _was_ surprised that the banana looked so good under the skin! I admit, I didn’t think that banana looked so good upon first glance. But Jon, I think we need to reassure the audience that the banana was consumed post demonstration. No fruit was wasted in the filming of this video! Right? Of course no food was wasted! Sorry, I thought that went without saying. Anyway, that banana went into a nice bowl of yogurt. What a hoot! Will this be a regular feature? The bananas in the bruised bin at our store were so good that we wondered why they were actually in there. 4. stick them in your tumbler to make compost. I’m a big fan of mashing them and mixing with plain yogurt to make…banana yogurt! So inventive. I do the smoothie thing, too. That’s a great use for an old banana because it takes way less time than baking a banana bread. Mostly, I try to buy bananas at different levels of ripeness, rather than one bunch, so as to avoid this situation. So, yes, I’m the guy standing at the banana rack for five minutes. Take Bo’s suggestion a step further: freeze bananas that are getting too old for your preferences. You don’t even need to peel them first, just dump them in the freezer. When you want to make a smoothie, or ice cream, or banana bread, take the banana out and let it thaw. Another cooking idea: puree the banana with just about any kind of fruit, then pour into a popsicle mold. I believe this is my first time posting here,but I couldn’t resist chimming in on the “Spotted Banana”. Love the video and I agree with you that we need to make/share videos and info on food waste.I plan to do just that with this site.I will include a link in a generael email to everyone on my contact list. My mother cooks enough food every Sunday for at least 100 people,right in her tiny kitchen.She picks up the food from another ministry,who picks it up from severeal groceries throughout the week.This food would normally be discarded.There’s still a lot that has to be tossed in one of the compost bins,but lots of the food gets eaten by those in need of a good meal.We transport the meal to a sidewalk downtown and serve lunch.There’s usually fruit and most all the fruit has a bad spot or two.Rarely have we had bananas that weren’t spotted. Thanks for all the work you do to keep this site up.I enjoy visiting. I eat bananas so long as they are not truly rotten and pose a danger to my health. I think lookism is evil, whether with regard to people or to things. Those stupid laws that prohibit the selling of irregularly shaped veggies and fruits are monumentally stupid. well i dont think the blemishes will affect the banana. The skin of banana is very thick. That is why you will never find insects inside it though you can find insects in other fruits. That is why banana is one of the safest food in earth.